Chácara Fortaleza has been leased for more than 22 years with great acceptance of all our customers. We daytime events of all kinds: diponibilizamos 25. 000 m² of green area for weddings, social gatherings companies, birthdays, celebrations, 15 party, baptisms, workshops, in short all kinds of events! The farm Fortaleza, surrounded by rainforest and located on the edge of the Billings Reservoir, has a private beach and exclusive use where fishing can be practiced. We have tables, chairs, changing rooms, court, nature trail, orchard, etc. We have catering services, decoration, sound, recreation and toys. 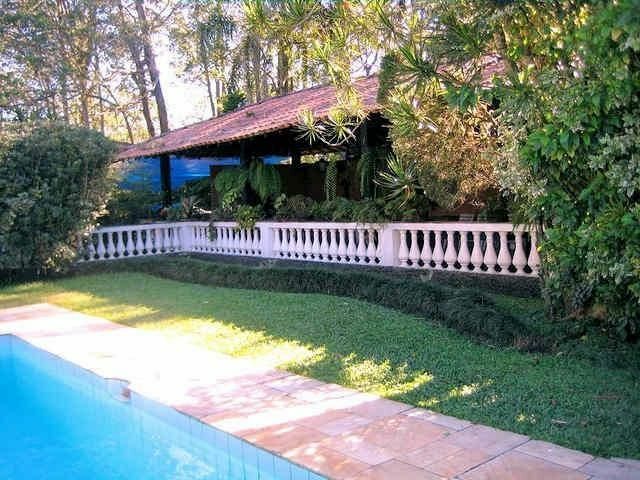 We are 20 minutes from Ipiranga, 10 minutes of São Bernardo do Campo and 5 minutes from the Via Anchieta. See our map and schedule a visit. The Farm responsibility when it comes to cleaning. Everything is always well organized and clean - both before and after the events. Limpeza ruim e banheiros em pessimas condições. Fizemos o casamento da minha mãe e abril, o mato estava enorme, e antes do casamento nós haviamos pedido para limpar, não limparam. Não tem luz no caminho que vai até os banheiros, no banheiro feminino as portas estavam quebradas, não tinha papel higienico e nem papel toalha. A paisagem é linda, porém a chacara é muito mal cuidada, e o atendimento é péssimo. Lugar muito bom, excelente localização !